Good morning everyone and Happy Monday! I hope you all have had a fantastic weekend. As you probably know (via Instagram), we have spent the last week in NYC mixing a little work with pleasure. We got a chance to do just about all the things on our to-do list and pretty much ate our way through the island! I thought I would share just a few of the things we did this trip! Obviously there are SO MANY more things we’ve done and seen on other trips, but this was full of magical things, so I thought I’d share! Both of these boutique hotels are owned by Triumph, and honestly made for some of the best nights I have had in the city! 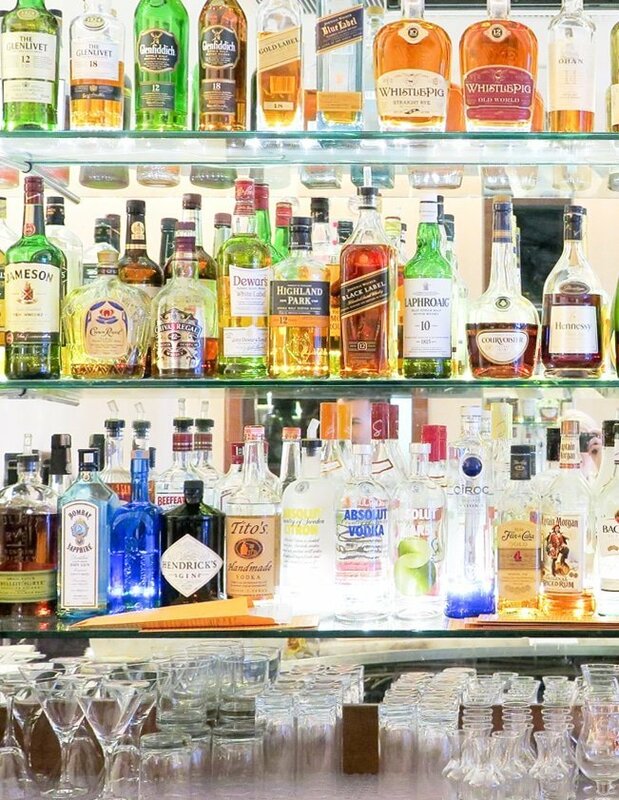 Both hotels offer charm and character… not to mention the bar inside the Iroquois is a craft cocktail dream! 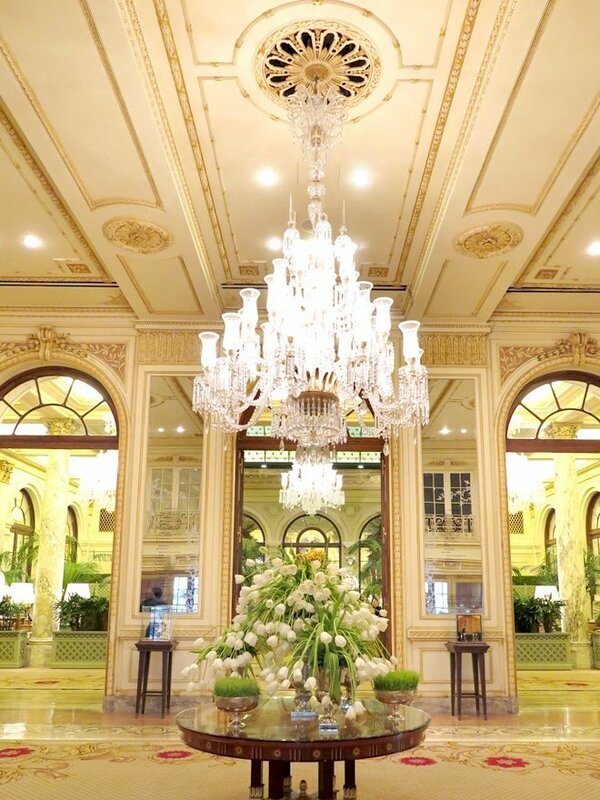 If you are staying in the city, I would HIGHLY recommend both places! Uber: Obviously if you haven’t heard of Uber, you are living under a rock. A big rock. 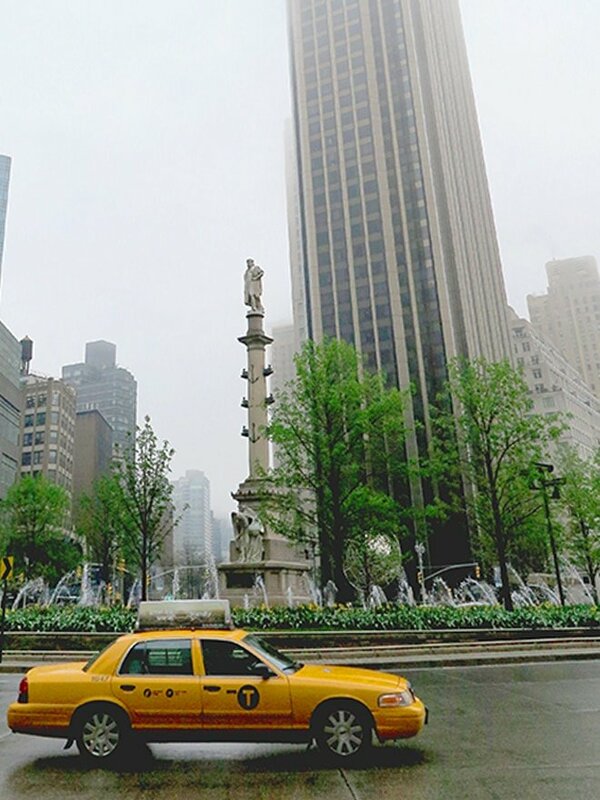 This past week, Uber, was running a special for $5.00 (#uberPOOL) rides anywhere in Manhattan; we, of course, took FULL advantage of this special. If I were you, I’d do a little Uber research to make sure you aren’t going to miss a deal like that if you are headed to the city anytime soon. The 1 Train: If I had my pick, I’d Uber all the time. But, sometimes the train is a bit faster. The 1 train became our bestie. Even though we walked like one billion miles over the course of the week (which gave us an excuse to eat all the cupcakes in the city), this line kept us from laying on the floor and crying out of exhaustion. The Staten Island Ferry: If you have not done this, you are missing out big time! First off, the ferry is F-R-E-E and takes about an hour (round trip) of your time. 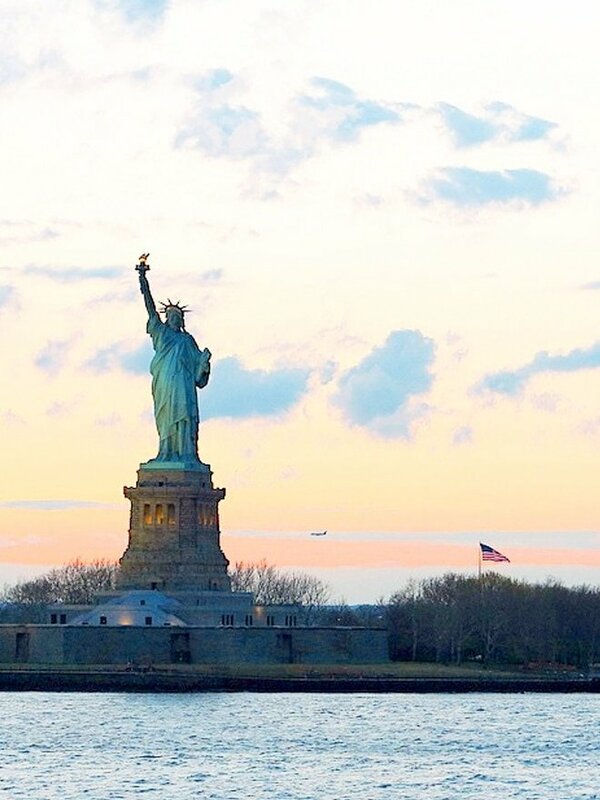 We took the ferry at sunset and it was magical; the sunset behind Lady Liberty on our way to Staten Island….amazing. And the city was in full glitter mode on the way back to Manhattan. It was well worth the hour. Also, before we hopped on the ferry, we picked up a couple of hot chocolates for the ride, which was one of the best ideas ever! *Cadillac: We’ve never gotten the chance to drive around in the city, but Cadillac gave us that chance and we LOVED it!! So if you have the chance to drive down 5th Avenue with the top down, DO NOT turn that opportunity down! So fun! Central Park: Duh. Also, Central Park in the Spring is like poetry (ß- that’s a real thing). The Met: If you haven’t been to the MET you aren’t living. Go and go now. Also, don’t get tricked into buying a ticket–it’s free! Just walk in like you own the place. 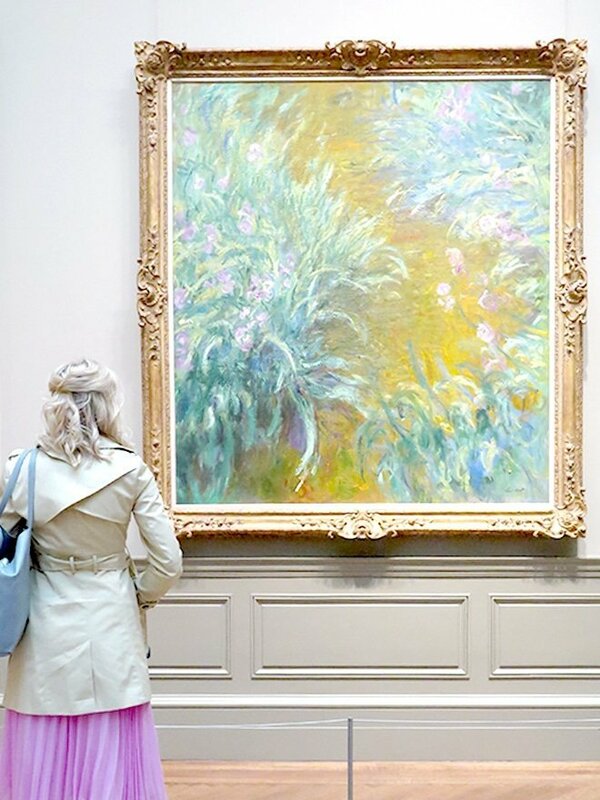 And make sure you stop by the Degas and Monet exhibits; they are magical. American Museum of Natural History: Personally I like the MET better, but let’s be real, you’ve seen A Night at the Museum, so you need to at least pop in to see the dinosaurs. It’s imperative. Bergdorf Goodman, 2nd Floor: Oh holy. The shoe floor. It’s heavenly. Tiffany’s, 2nd Floor: The engagement ring floor of the 5th Avenue Flagship. You can pretend you are in Sweet Home Alabama for like 5 minutes. It’s magical. Rockefeller Center: It’s beautiful, and it’s imperative that you see it. 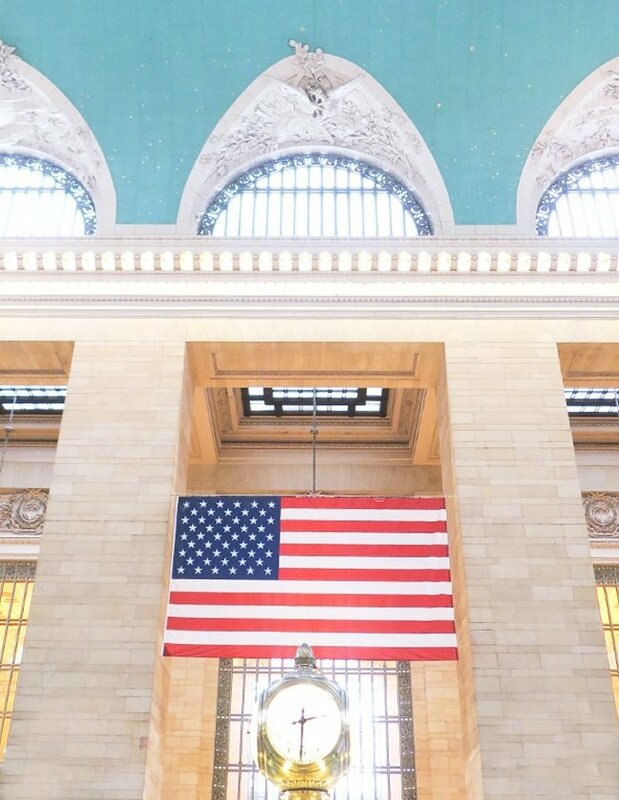 Grand Central Station: It’s iconic and BEAUTIFUL. Also, I’ve heard the cocktails at The Campbell Apartment (inside GCS) are on point! The New York Public Library/Byant Park: It’s the prettiest, and they are connected. 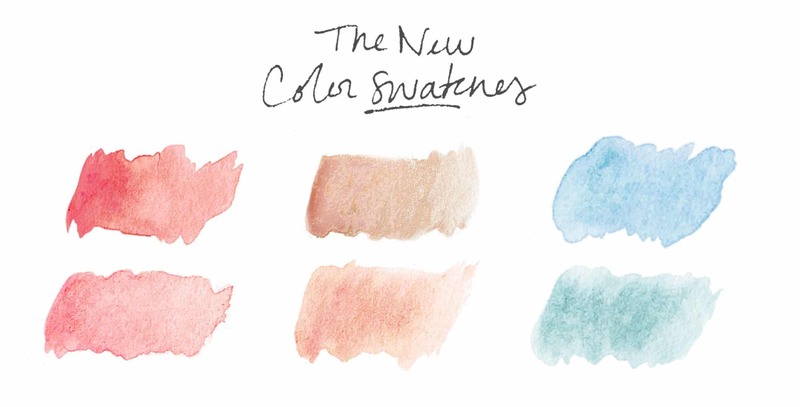 Plus, you need to have a Carrie moment! The Club Monaco Flagship: It’s what dreams are made of: beautiful clothes, flowers by the stem, and one of the loveliest bookstores all in one. Top of 230 Fifth: It’s a rooftop bar… to be honest it wasn’t my favorite “scene” but the view of the city is UNREAL. Totally worth seeing at night. Broadway Show: I love a good show, and try to at least see one or two when we are in the city. This time we went and saw On The Town. It was amazing, and just the quintessential New York Broadway Show. I literally loved everything about it; from the Jazz hands, to our adorable seat neighbors that we became besties with–and even ended up taking “Ellen-Worthy” selfies with! Lady Liberty: Take the ferry like I mentioned before… trust me. 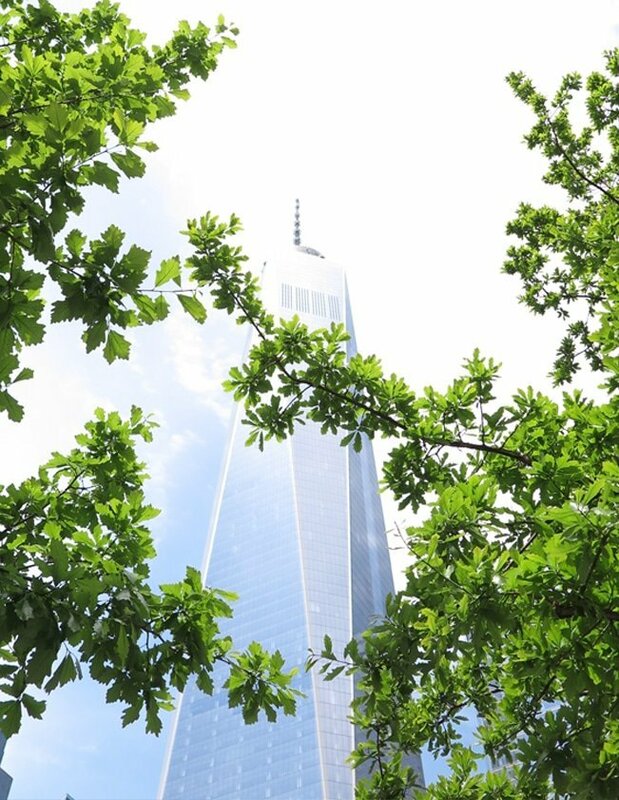 *9/11 Memorial: To be fair, I did not want to go see this in fear of my crying like a baby! I remember the exact moment 9/11 happened and I was not interested in reliving it. But my sweet husband reaaaaally wanted to see it, so I obliged and I am SO GLAD I DID. It is truly breathtaking. you need to see it if you haven’t. Photos of the pools don’t do it justice! 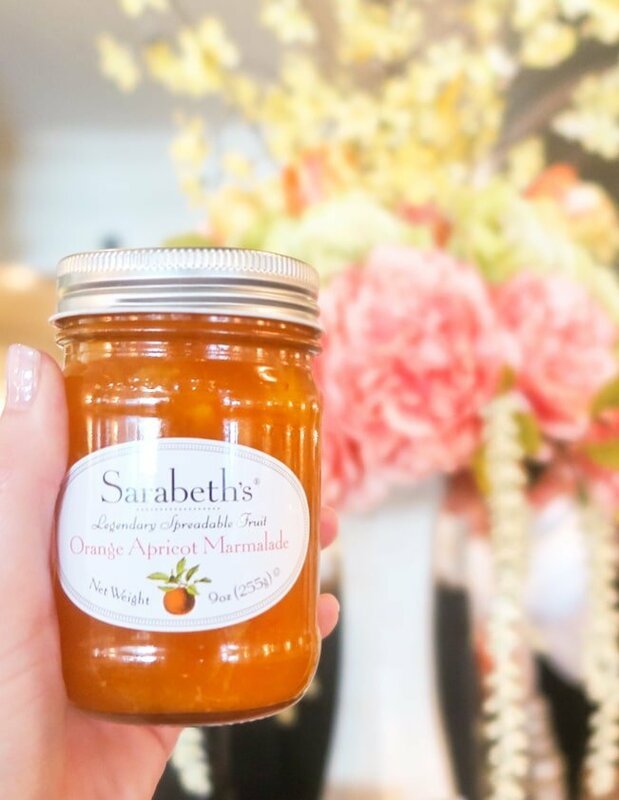 Sarabeth’s: Oh my gosh. It’s breakfast heaven—their lemon ricotta pancakes are a game-changer! Maison Kayser: Breakfast is amazing, and they are known for their bread and pastries… and now I know why! Shake Shack: It’s a city staple; if you haven’t tried their fries, you are missing what heaven will taste like. 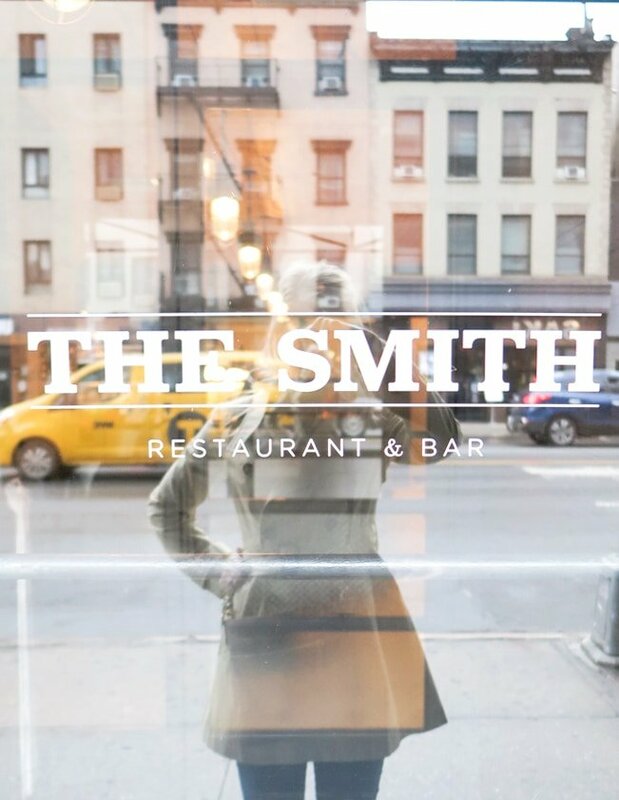 The Smith: We went for a late lunch one day, and went back for brunch the next. We may have a problem. It’s that good. Also, they quite possibly have the best brussel sprouts in the city! Magnolia Bakery: This is a given. You must have one of their classic cupcakes or their banana pudding. It’s important that you do. *Otto’s Tacos: Homemade guac and house made corn tortilla… do I need to say more?! *Gelato ti Amo: Get the peach gelato. Game changer. *Pret: Looking for a quick bite that is healthy, look no further! I popped in and out of these all over the city. It’s reliable, yummy, and healthy! *Milk Bar: Hello cookies!!! 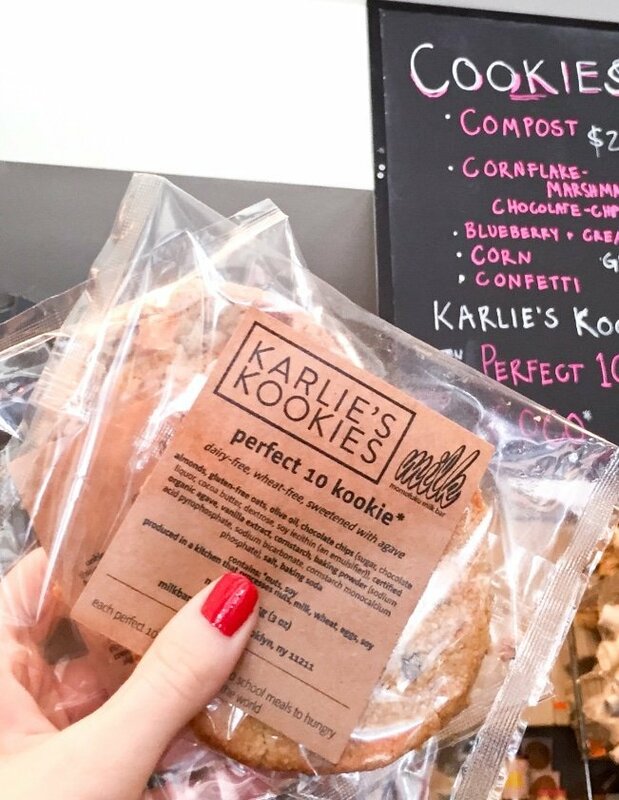 I got Karlie Kloss’ perfect 10 cookie and it was amazing! Definitely pop in one of these locations for a treat! 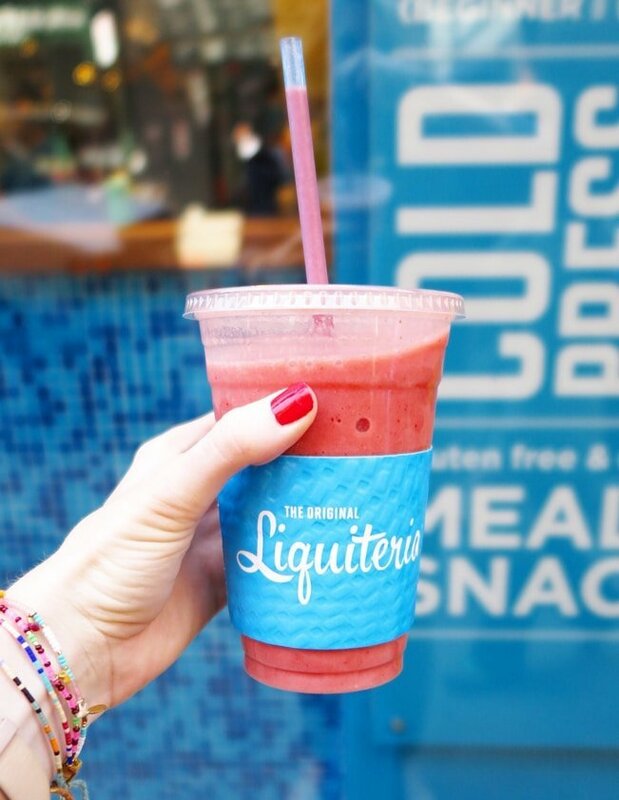 *Liquiteria: One of the best smoothies I have had! I ordered “the skinny” and it was the perfect little lunch! Café Lalo: Their cheesecake is amazing, they are open super late, and it’s dripping with charm! Also, this is the café in You’ve Got Mail, so it’s a must go! *The Writing Room: Wow was this good! Everything from the cocktails to dessert was amazing. I want to go back right now. The Plaza Food Hall & Todd English Food Hall: Did you know that there is a market full of yummy goodness underneath The Plaza? Well if you didn’t, get yourself there ASAP! Seriously. Also, you are going to need to try Tartinery’s Kale Caesar Salad and Butternut Squash Soup. 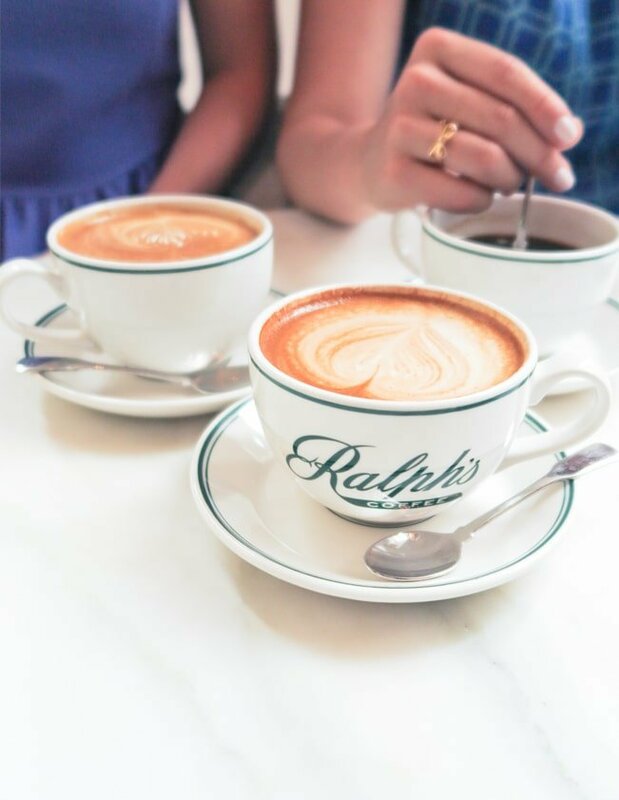 Ralph’s Coffee: It’s classic, charming, and it’s on the second floor of the Polo Ralph Lauren Flagship store on 5th, overlooking the avenue. Their Hemp Lattes and chocolate cookies are the bomb dot com. 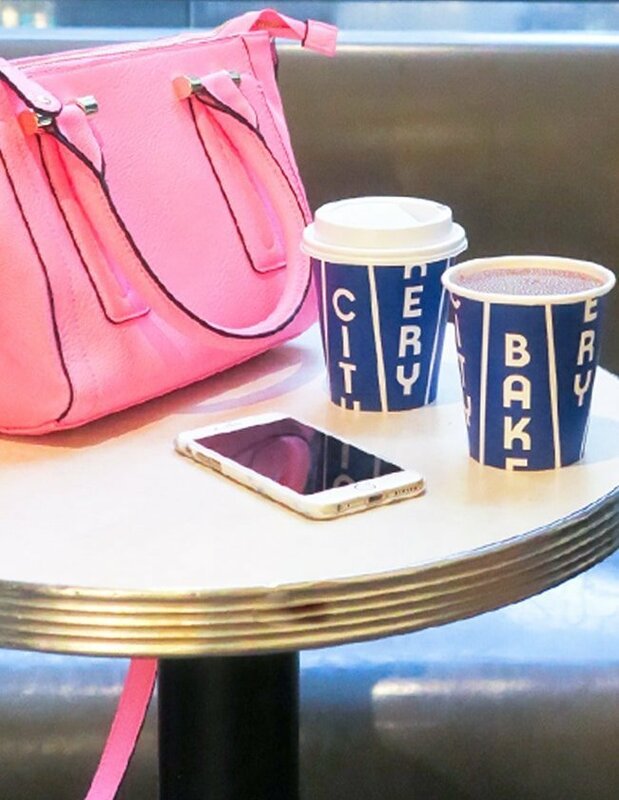 City Bakery: You absolutely MUST have a cup of their famous hot chocolate. Wait for a cold rainy day, pop in and treat yo’self! You will not be sorry. I’m serious. Tao: Best sushi, cocktails, and service I’ve ever experienced! Plus, at any minute a Kardashian could walk in… so there is that! *Bibble & Sip: Their lavender lattes are AMAZING!!!!! 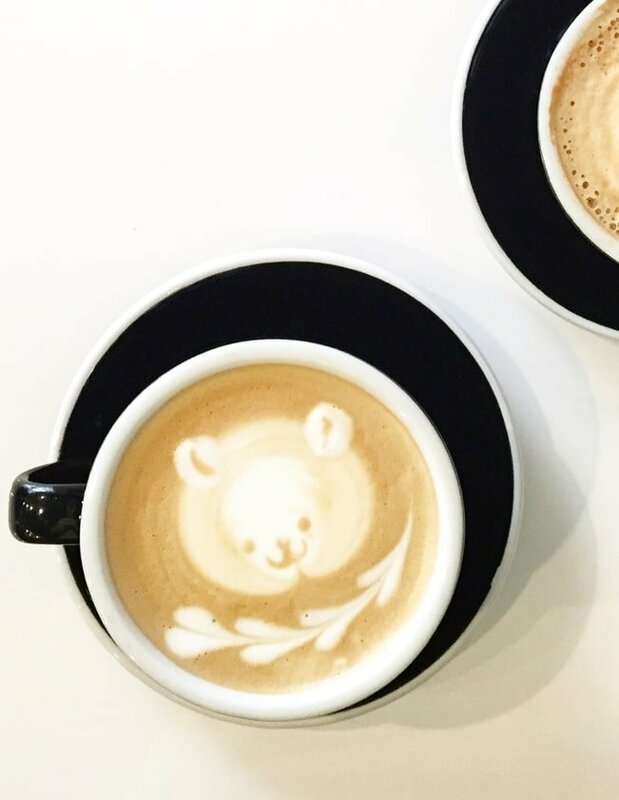 And, can we just talk about this latte art?! I almost died. 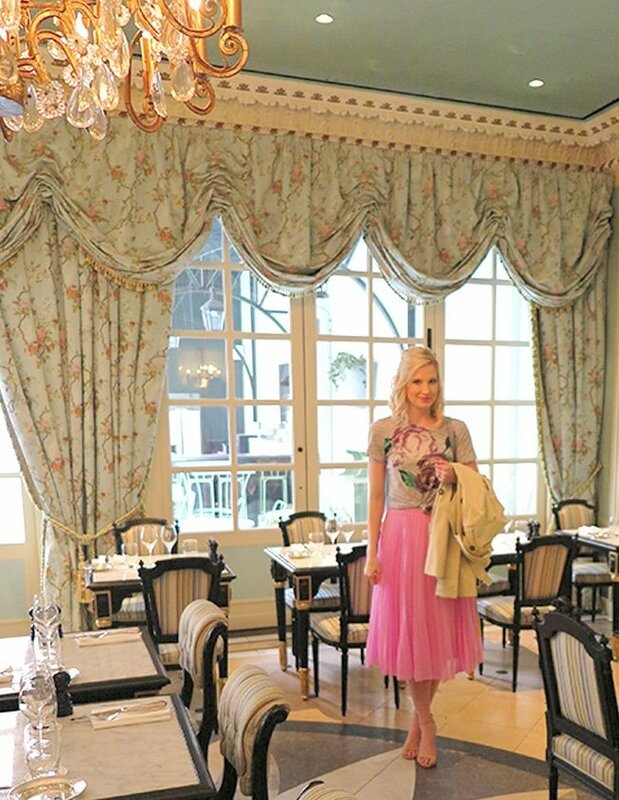 Ladurée in Soho: This is a MUST go. If you are in the city with your girlfriends, they will love it! Trust me! Make a reservation for brunch and tea; you will be writing me thank you notes, I promise. Also, their Salmon Eggs Benedict is out of this world. *The Dutch: Super quaint and delicious! If you haven’t been I would highly recommend it for dinner on a nice night! They open up all the doors and it becomes almost like one big patio. Also, the roasted chicken is amazing. Also, make a reservation!! Jack’s Wife Freda: The vibe is awesome, all the waiters wear stripes, the cocktails are delish, and they serve food at 11:30… all the things I like! Mother’s Ruin: Great local bar, and kitchen is open until 3 am! Also, you MUST have their Fried Chicken Kale Salad, it’s unreal. 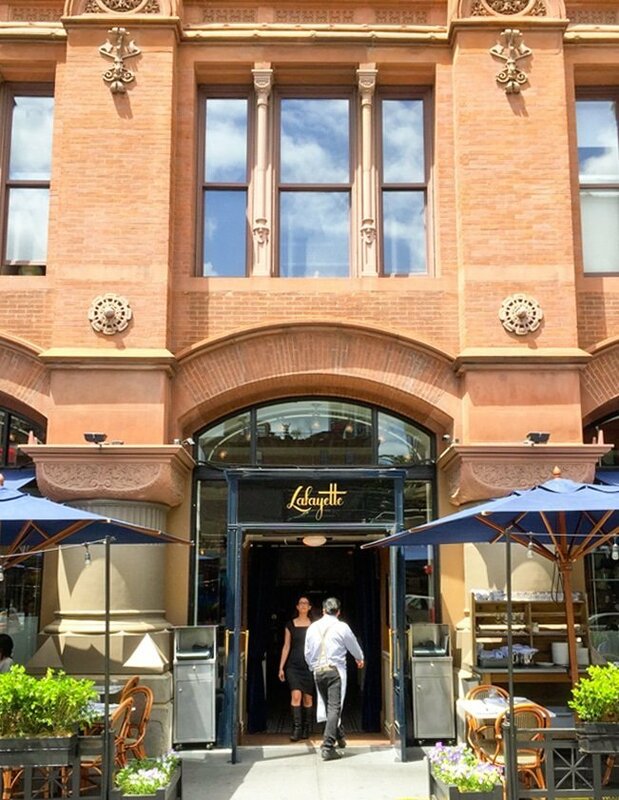 *Lafayette Cafe: Such a beautiful spot for breakfast! I went to the little cafe attached to the restaurant and set up my laptop and worked for a bit, it was lovely! Their oatmeal is amazing and so are their lattes! Also, Anne Hathaway was their eating with her husband, which I think is definitely worth noting! It’s a must go for me! *Chobani Soho: If you like yogurt parfaits that this my friends, is the place for you! It’s super yummy and the perfect afternoon snack! Order the Pistachio + Chocolate, you will thank me later! Happy Bones Coffee: I am pretty sure it was the BEST latte I have ever had. Ever. It was also raining and I was cold, so that may have had something to do with it! Berg’n: So fun! Food is fantastic and the beer is great! You must try the Kale Salad with steak and cilantro dressing from Asia Dog. You will not be sorry! Fette Sau: Best BBQ in NYC. Also, the vibe is awesome…. and I didn’t fit in one bit, but the baked beans were so good I could not have cared less. Next Post Our BIG ABD Spring Flash Sale: 20% off EVERYTHING! 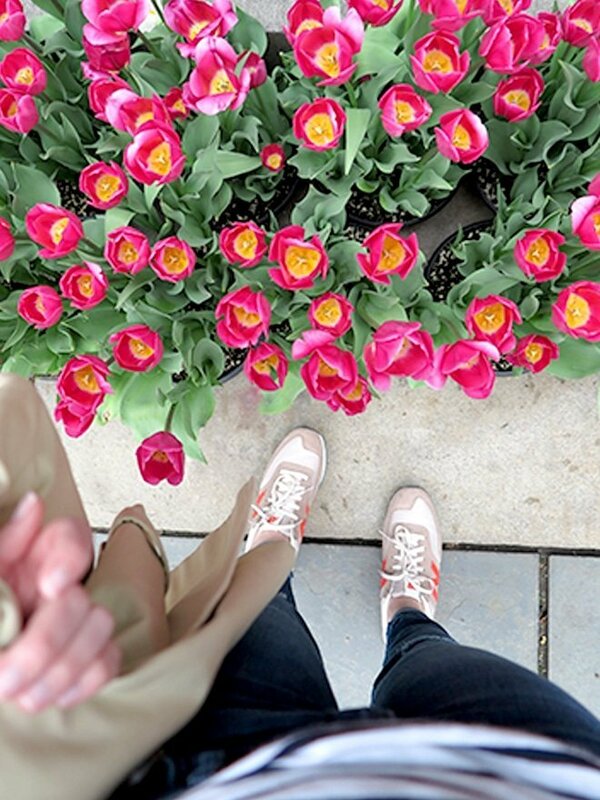 Thank you for sharing your NYC hot spots. I am a flight attendant and enjoy visiting NYC. I added some of your suggestions to my list. I am always looking for new coffee shops. I love Stumptown Coffee, but will try some of your suggestions next time. I also plan on seeing “On the Town” with Misty Copeland this week. I used your list as a guide for our trip. It’s our last day and I had to thank you for the amazing tips! laduree was my favorite part, I’m a huge fan of night tea. Thanks!